While celebrities have been showering praise on Kedarnath's lead actors Sara Ali Khan and Sushant Singh Rajput, some critics have pointed flaws in the narration, screenplay and visual effects which turned them down. 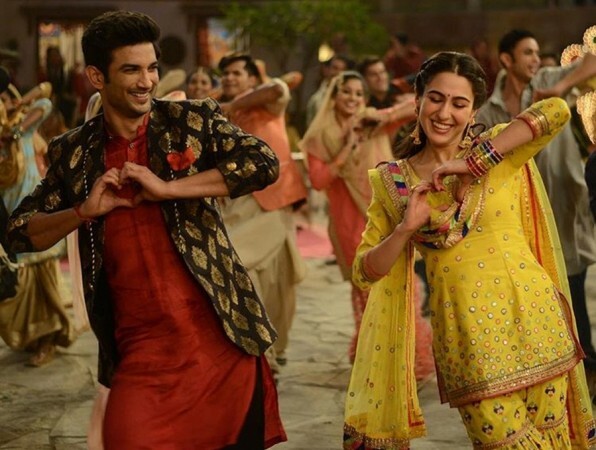 Director Abhishek Kapoor's Kedarnath starring Sara Ali Khan and Sushant Singh Rajput has been released in the Gulf region and critics have given mixed reviews for the film. Celebrities and a few film critics also got a chance to see the film a day prior to its release and they have been showering their praise on lead actors, director and the storyline. Some critics have pointed flaws in Kedarnath's narration, screenplay and visual effects which turned them down. However, they were amazed with the natural performaces that were put on screen by Sara and Sushant with the portrayals of their characters. But some didn't really connect with the storyline and found the chemistry between Sara and Sushant quite boring. Sara Ali Khan's debut film Kedarnath is one of the most awaited films of the year. The love story tracing the pure and innocence of the brewing romance between Mukku and Mansoor played by Sara and Sushant respectively. Kedarnath is shot in the real locations of the Uttarakhand. The makers offer a virtual tour of the holy place as they shot the film so close to reality in the temple. Talking about the shoot of the film, Director Abhishek Kapoor revealed, "It took a lot of research to recreate the floods in Kedarnath. We did a lot of prep on how to build the sets. We created a balance of computer graphics, live action, and visual effects to give the audience an immersive feeling. Whenever I have made films, the intention has always been to leave the audience with a dramatic high. With Kedarnath, I want people to get moved by the love story while experiencing the yatra." Producer Ronnie Screwvala also shared his thoughts on the unconventional topic of the film saying, "It (the floods) was a natural disaster of massive proportions. All of us get so consumed in life, that we lose perspective about these things. We could learn lessons about conservation of nature from this disaster. We decided to convey this through a love story." Take a look what audience have to say about Kedarnath movie. Very boring and unwatchably bad. The leads share a poor chemistry. #Kedarnath is a beautiful, beautiful love story which leaves you in awe and a lot of tears and love. Kudos to @Abhishekapoor for mounting the film on th biggest canvas and yet rooting it where it matters: the heart.